509 Sq.Ft 1BHK Flat at Anandam Apartments, Sidco Nagar 1st Main Road, Villivakkam, Chennai. 810 Sq.ft Apartment at Mukthi Apartments, Manapakkam Main Road, Manapakkam, Chennai. 1.96 Grounds at Venugopal Avenue, Chetpet, Chennai. 789 Sq.ft Apartment at Lake View Road, West Mambalam, Chennai. 5000 Sq.ft Commercial Space at Sabari Sunnyside, Shafee Mohammed Road, Nungambakkam, Chennai. 1674 Sq.ft Apartment at 1st Avenue, Ashok Nagar, Chennai. 1215 Sq.ft Apartment at 4th Avenue, Ashok Nagar, Chennai. 1800 Sq.ft Land with 2800 Sq.ft Building at Vellalar Street, Kodambakkam, Chennai. 1254 Sq.ft Apartment at Jai Gardens, Valasaravakkam, Chennai. 1215 Sq.ft Apartment at AL Block, 14th Main Road, Annanagar, Chennai. 1375 Sq.ft Apartment at G Block, 1st Main Road, Annanagar East, Chennai. 1975 Sq.ft Residential Apartment at Ceebros Atlantic, Egmore, Chennai. 3 BHK Flat for Rent in Ceebros Atlantic, Egmore, 1975 Sq.ft. 1300 Sq.ft Apartment at Kumaran Colony, Vadapalani, Chennai. 4000 Sq.ft Commercial Space at Khader Nawaz Khan Road, Nungambakkam, Chennai. 610 Sq.ft Apartment at Kumaran Colony, Vadapalani, Chennai. 1100 Sq.ft 2 Bedroom Apartment at Venus Colony, Alwarpet, Chennai. 3988 Sq.ft Commercial Space at Temple Tower, Nandanam, Chennai. 1363 Sq.ft Apartment at Aspirin garden, Kilpauk, Chennai. 1150 Sq.ft Apartment at Abhiramapuram, Chennai. 5490 Sq.ft Commercial Space at Adwave Towers, South Boag Road, T.Nagar, Chennai. Hanu Reddy Realty Represented both Seller and Buyer. Excellent Hi-End 2 Bedroom HIG Flat in Anna Nagar Western Extension. 2878Sq.Ft 3BHK Flat For Sale at Rani Meyyammai Towers, MRC Nagar, R.A Puram. Sold 1163 Sq.ft. Approved housing plot @ Madhavaram. Both Buyer & Seller Represented by Mr. K. Rajesh. 3000 SQ.FT. BUILT INDEPENDENT HOUSE AT ANNA NAGAR WEST. Flat @ XS-Real Seina, Padur, 1571 Sq.ft, 3 BR. One Ground Land with Building in Anna Nagar West Extn. 990 Sq.ft Apartment at Sholinganallur, Chennai. 790 Sq.ft Apartment at Ramakrishnapuram, West Mambalam, Chennai. 1000 Sq.ft Commercial Space at United India Colony, Kodambakkam, Chennai. 960 Sq.ft Apartment at Postal Colony, West Mambalam, Chennai. 1171 Sq.ft Commercial Space at 100 Feet Road, Ashok Nagar, Chennai to M/s.Bollhoff Fastenings Pvt Ltd.
2000 Sq.ft Commercial Space at, Mahalingapuram, Chennai to M/s.Calmidi Namberumal Chetty’s Charities. 1400 Sq.ft Apartment at 4th Avenue, Ashok Nagar, Chennai. 1716 Sq.ft Land at South West Boag Road, T.Nagar, Chennai. 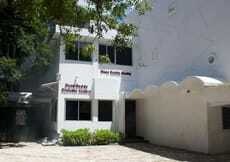 2850 Sq.ft Commercial Space at Harrington Road, Chetpet, Chennai. 4800 Sq.ft Land at DABC Avenue, Nolambur, Chennai. 600 Sq.ft Commercial Space at Gandhi Nagar, Adyar, Chennai. 1300 Sq.ft Office Space at TTK Road, Alwarpet, Chennai. 980 Sq.ft Apartment at Dr.Thomas Road, T.Nagar, Chennai. 1200 Sq.ft Apartment at Kothari Road, Nungambakkam, Chennai. 850 Sq.ft Apartment at Waterworks Avenue, Kilpauk, Chennai. 1556 Sq.ft Apartment at First Avenue, Ashok Nagar, Chennai. 2062 Sq.ft Apartment at The Metrozone, Annanagar West, Chennai. 1100 Sq.ft Ground floor Apartment at I Block, Annanagar, Chennai. 1000 Sq.ft Office Space at TTK Road, Alwarpet, Chennai for M/s.Nail Culturee - Chamiers. 1500 Sq.ft Office Space at TTK Road, Alwarpet, Chennai for Ms.NLV Trading Pvt Ltd.
Hanu Reddy Realty Represented both Lessor and Lessee. 2244 Sq.ft, 3BHK Flat at Alliance Orchid Springs,Korattur @ Rs.5100/- Per Sq.ft. 1374 Sq.ft, 3BHK Flat at Manapakkam, Rs.62 lakhs. Leased Out !!! 3 BHK Flat @ Raheja Nest, Royapettah, 1305 Sq.ft. 3 BHK Flat sold at Sumanth Sreshta, Nandambakkam.. Built Up: 1540 Sq.ft, Power backup. 1050 Sq.ft,2BHK Flat at Magizhchi Flats,Mogappair. Sold 2 Grounds Land in DABC Avenue, Nolambur, Mogappair. OMR, CEEBROS BOULEVARD, 1500 Sq.ft, 3 BR Flat. Land 1200 Sq.ft with old building at Parameshwari Nagar, Adyar @ 1.60 crores. Kalashetra Colony, Land Area of 2160 sq ft @ 4.80 Crores. T.Nagar, Alacrity, Flat, 865 Sq.ft @ 78 Lakhs. Flat @ Kalashetra Road, Thiruvanmiyur, 1372 sq.ft. MANAPAKKAM, 2580 Sq.ft Land with 2500 Sq.ft Building @2.65 crores. 1285 Sq.ft 3BHK Flat at Jains Ashraya, Virugambakkam,Chennai. Sale Amount : Rs.83.50 Lakhs. 2079 Sq.ft Apartment at DLF Garden City, OMR, Chennai. 1250 Sq.ft Apartment at East Park Road, Shenoy Nagar, Chennai. 1960 Sq.ft Land at Paripurna Vinayagar Koil Street, Mylapore, Chennai for Rs.1.42 Crores. 1190 Sq.ft Flat at Rathinammal Street, Kodambakkam, Chennai for Rs.1.16 Crores. Independent House with 6000 Sq.ft Land area and 1300 Sq.ft Built Up Area at Defence Officers Colony, Nandambakkam, Chennai. 1200 Sq.ft Land at Chinmaya Nagar, Koyambedu, Chennai. 960 Sq.ft Apartment at W Block,Annanagar West Extension, Chennai for Rs.76.50 Lakhs. 1805 Sq.ft Flat at LA CELESTE, Madanandapuram, Chennai. Flat at Velachery, VGP SELVA NAGAR,1300 Sq ft, 3 BHK for Rs 44 Lakhs. Flat at Ceebros Boulevard OMR, Thoraipakkam, 1625sq.ft, 3BHK, Sale Amount: Rs.1.39 Crs. 1 Ground + 487 Sq.Ft Land with old Independent House at Swamy Street, Egmore. 1370 Sq.ft, 3BHK Flat at CEEBROS ORCHID, Velachery. 3500 Sq.Ft 6BHK Independent House at Samy Street, Egmore. 2244 Sq.Ft 3BHK Flat at Alliance Orchid Springs, Korattur, Chennai. 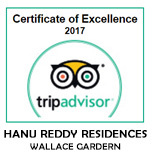 Hanu Reddy Realty represented both Buyer and Seller. 2490 Sq.ft Flat at Bellavista, Shanthi Colony, Anna Nagar, Chennai. 1125 Sq.ft Flat - Off Sridevi Kuppam Main Road, Valasaravakkam. 1107 Sq.ft Flat at Royapettah, Chennai. 2340 Sq.ft Commercial Space for Rent at F Block, Annanagar East, Chennai. 1660 Sq.ft Flat at The Atlantic, Montieth Road, Egmore, Chennai. 2017 Sq.ft Flat at Nungambakkam High Road, Chennai. 1512 Sq.ft Commercial Space at 100 Feet Road, Ashok Nagar, Chennai for M/s.Nipro Medical (india) Pvt Ltd.
705 Sq.ft Flat at Postal Colony, West Mambalam, Chennai. 1350 Sq.ft Flat at Vijayaraghava Road, T.Nagar. 1303 Sq.ft Flat at W Block, Annanagar West Extension. 40,000 Sq.ft School Space at Ring Road, Madhavaram. 5000 Sq.ft Independent House at Lodhikhan Street, T.Nagar. 6000 Sq.ft Land at Nandambakkam. 6080 Sq.Ft. Residential Land with 6300 Sq.ft. Residential House at Valasaravakkam, Chennai. Independent House at Maduravoyal, Chennai 600 095. Land Area 2800 sq.ft., Built up area 1400 sq.ft. 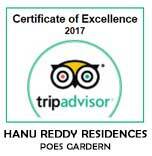 Hanu Reddy Realty reqpresented both the sides. 9 Grounds at Akkarai, Dimension - 146' x 150'. Sale of Residential Land 2670 Sft at Vinayagapuram, AGS Colony, Velachery, Chennai. 3BHK Residential Flat of 1565 Sq.ft Built Up at Deivasigamani Road, Royapettah, Chennai. Sold 1126 Sft Land and 2005 Sft Built Duplex House in Silicon Valley at Okkiam Thoraipakkam. Sold 2505 Sft land and 1950 Sft Built up Individual Home Near Chetnad Enclave, Pallikaranai. 6750 Sq.ft , 1st Floor Retail space On Sardar Patel Road , Above Adyar Bakery To M/s. Reliance Home Store Limited Rent per Month @ Rs. 60/- per Sq.ft. 3 Bedrooms Apartment of 1375 Sq. Ft. , at Prince Green Woods , Ambattur - Chennai. 2 Bedroom Flat of 1222 Sq.ft. at DABC Ramyam, Anna Nagar, Chennai. 872 Sq.Ft. 2 Bedroom Apartment (3rd Floor) Haddows Road , 1st Street , Nungambakkam. 42 , 000 Sq.ft. Office space at Alpha Centre , T.Nagar , Chennai to Zee TV.